Or perhaps should we write To Hale, with Wildcat A Added Two Days Later. 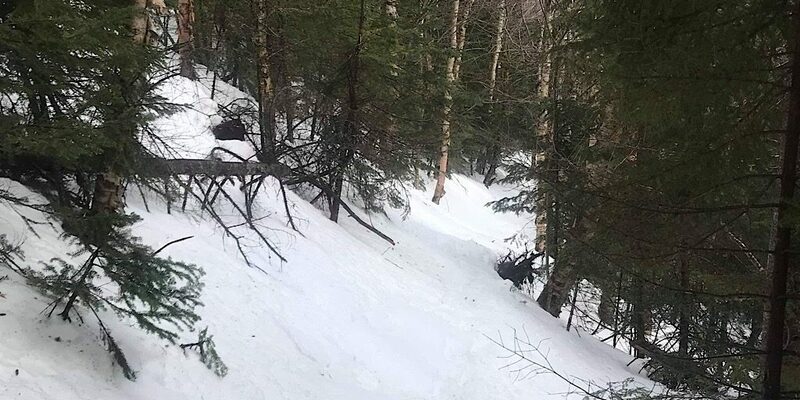 The 4054′ Mt Hale and 4422′ Wildcat A were but two of the mountains that re-returning guest, Alex, needed for his still-in-progress quest to conquer New Hampshire’s 4000-footers. 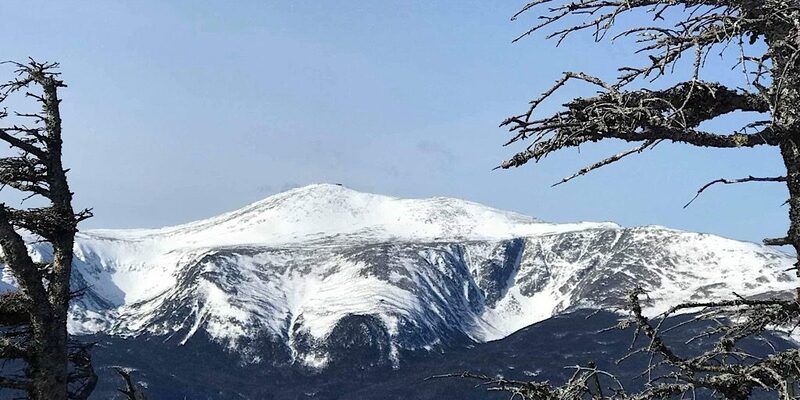 These were not this weekend’s intended targets, however, but the forecast for high winds and nastiness prompted both Redline Guide Ryan Mcguire and our guest to opt for these secondary peaks. Safety first. After all, as the saying goes, the mountains will be here for another day. 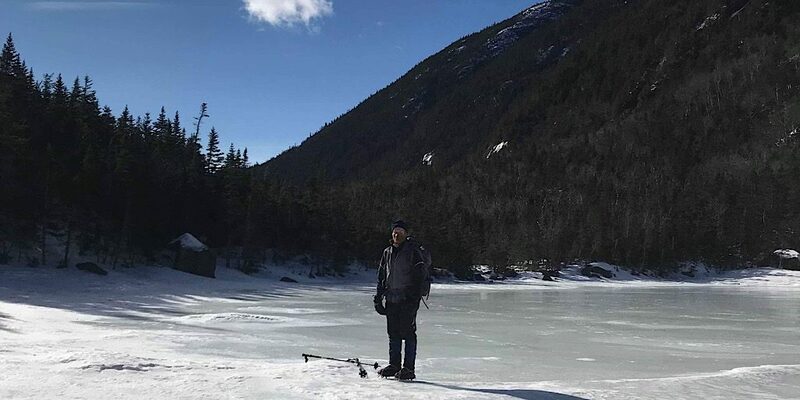 The first hike was on Friday. Ryan met Alex at the winter parking lot near Zealand Road. They parked their cars and made their way along Route 302 towards the winter-closed road. 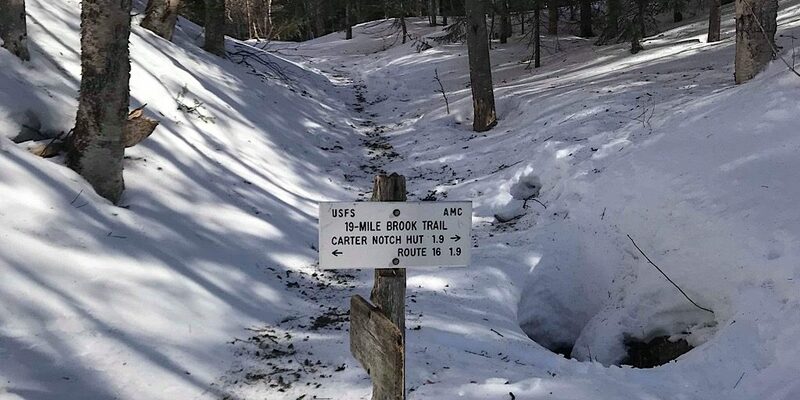 They walked it with light traction until reaching the Hale Brook trailhead where they donned snowshoes for the ascent. 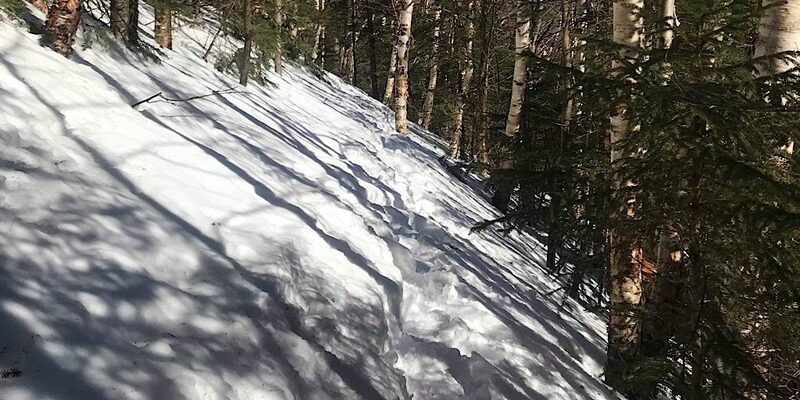 The rest of the hike went without a hitch, though a sidehill section was angled sharply, Ryan reported, making the transit awkward. 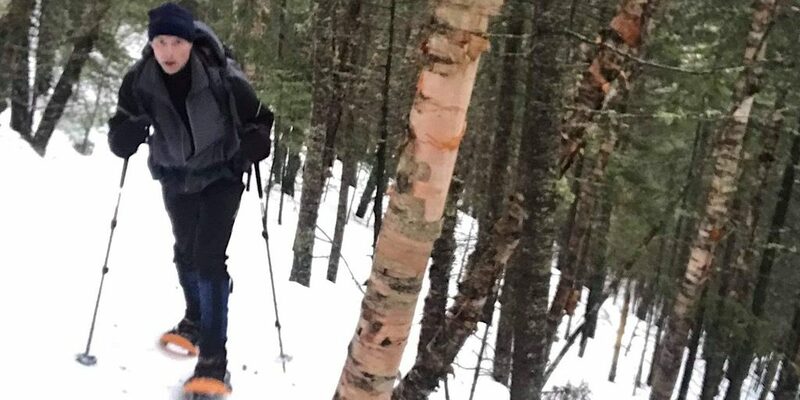 When the duo reached the summit they took a short break then reversed direction heading back down the mountain. Next up (for us, since Alex was hiking with a friend Saturday) was to take place Sunday morning. A tough side hilling section. Made it. Well done, Alex. Another nasty forecast of high winds and frigid temps again prompted a change of plan for Alex and Ryan. 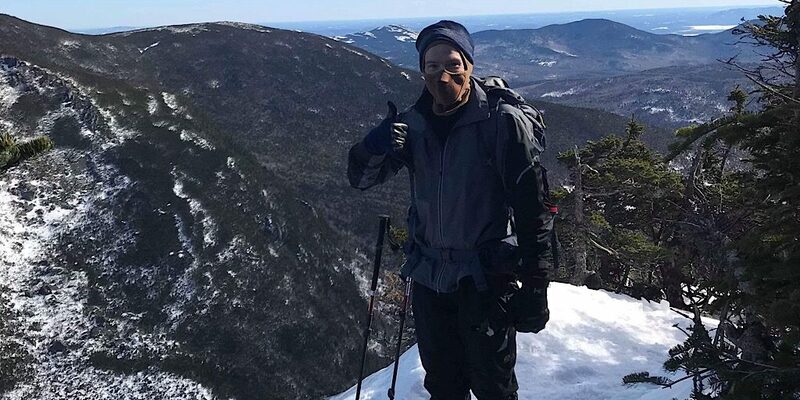 This time they decided to take on Wildcat A from the sheltered 19-Mile Brook Trail and met at the trailhead in the morning. 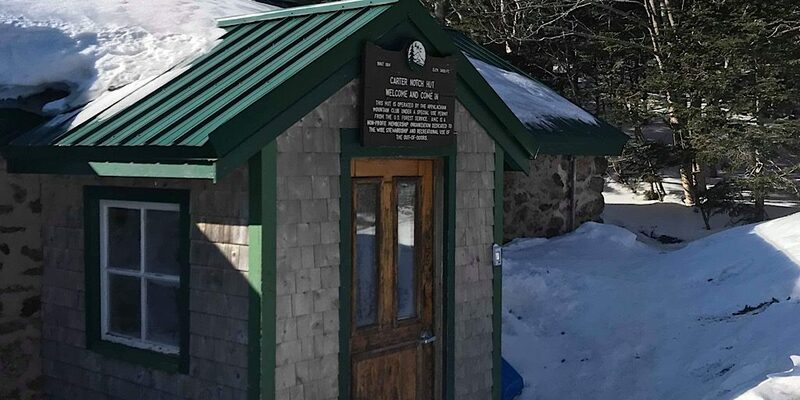 They hiked until the reached the second junction, then diverted to the AMC’s Carter Notch Hut which is open for self-service in winter. After resting up they returned to the junction and made their way up to the summit. From there the duo continued on. 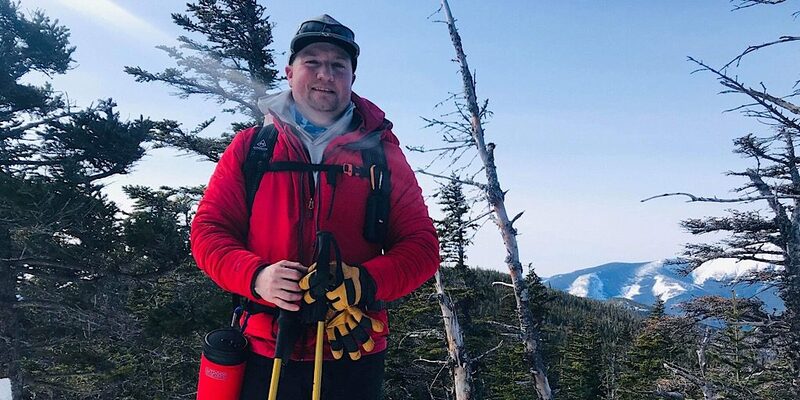 When Ryan submitted the morning’s online checkout report he noted a “plan B” of possibly extending the hike to make it an out-and-back as far as Wildcat D Peak. As it turned out they did continue on, but Alex called it at B-Peak. 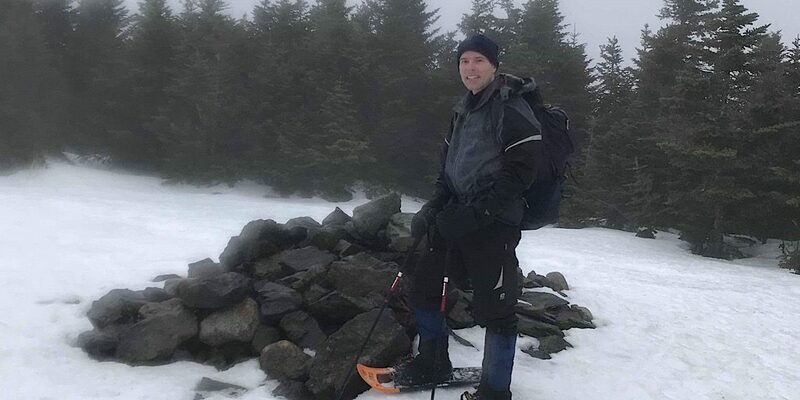 It was his third 4000-footer in as many days so it was an understandable decision. Known camp robber, the notorious Canadian jay (a.k.a. 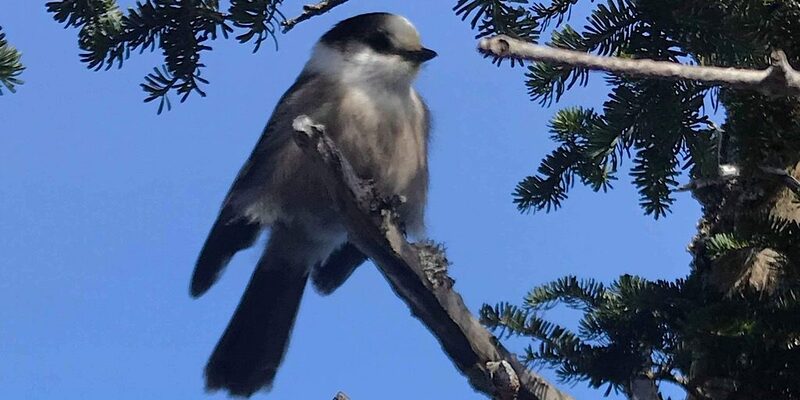 gray jay). Deep in the woods but not made of gingerbread or candy. Bummer. 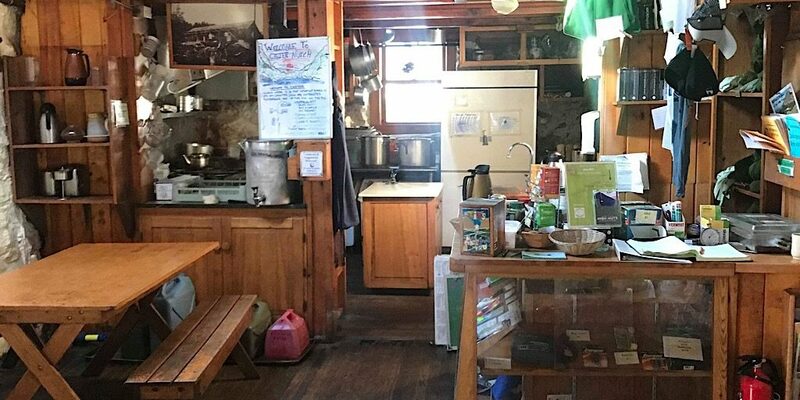 For sale, rustic, has that lived-in look. Long front walkway (back is no better). Utilities not included. 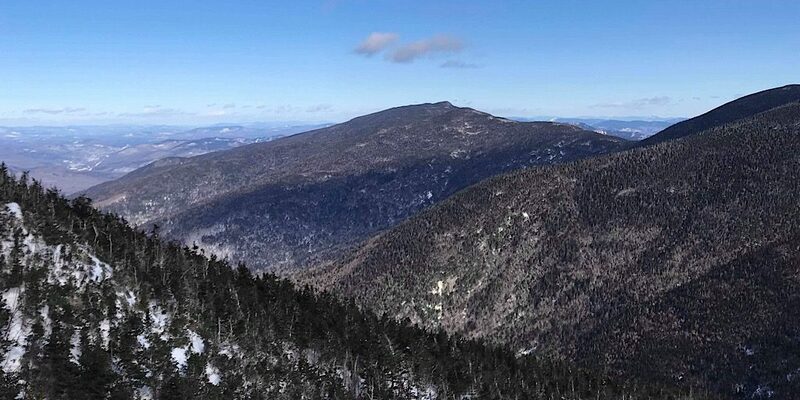 Outlook next to the Wildcat A summit. Looking north toward the Carters. 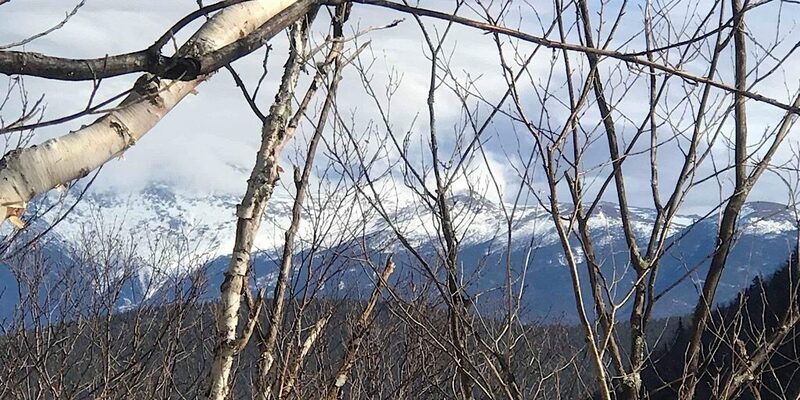 View of Mt Washington from somewhere on Wildcat B. We think red is his color. Don’t you agree? Congratulations Alex! And Ryan, great job leading!